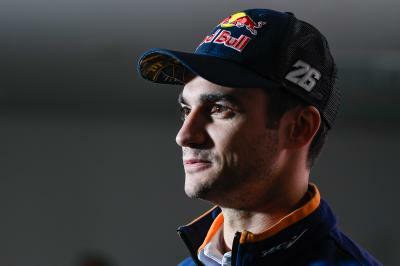 Dani Pedrosa left the first Sepang test contented, having posted the sixth fastest time of last week while completing no less than 1,064 kilometres. 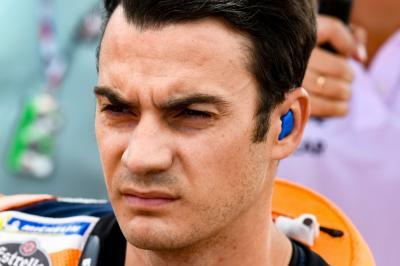 In terms of mileage, Pedrosa ended the three-day test second only to Suzuki Test Team’s Randy de Puniet, whilst the Repsol Honda Team rider focused on ironing out his weaker areas. In-turn, this followed an energetic off-season for the 28-year-old. Good, good. It has given me time to unwind. I was able to rest and have some fun. This winter I have been windsurfing, which is one of my favourite hobbies. I was relaxed for a while, I had a change of scenery and then started fitness training. How is your fitness after two months off and then three intense days of testing? Well, that went well. Logically I'm tired because I've ridden many laps and it was very hot, but overall I'm very happy with my fitness. Now that we begin to get more time on the bike, we will go better. Have you been able to improve something that you were not satisfied with over the past year, which was your grip exiting corners? Yes, last year I lacked grip on the rear and suffered a lot because of this. I improved other aspects to try to compensate for that. We always suffer the most when it comes to getting traction out of the corners and everything we improve with that will be positive. It's something we've worked on at this test and we have made progress. How can you improve your riding? What did you learn in 2013? The races in 2013 were much more intense. There was always a lot of intensity in MotoGP™ with Casey (Stoner) and Jorge (Lorenzo), but in 2013 we were almost always close together until the last lap. There were many more races in which two or three riders finished together. In these situations it is important to stay focused and to be precise, despite your tiredness or the fact that the bike is not performing at 100%. 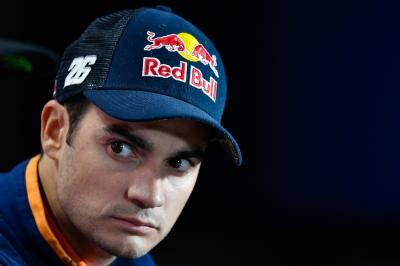 What is your assessment of the opening three days of testing? I was able to progress quite a lot. Over the first two days I did not start with the best feeling, but we have improved. As I said, we have slightly increased the rear grip, but I have also made good progress ˗ especially with my feel of the bike. Do you like how the new tyres work? We have to see how they respond at other circuits, but the truth is that both the soft and hard can be used now, whereas last season you could only use the soft compound. The previous hard tyre had no grip, so in this sense things have also gone well. At the next test will a race simulation be your main priority? No, not the priority. Clearly it will be one of the important things, but not the most important. (On Thursday) we did a lot of laps with worn tyres ˗ 60 laps with only two ˗ so we have experience with used tyres now. 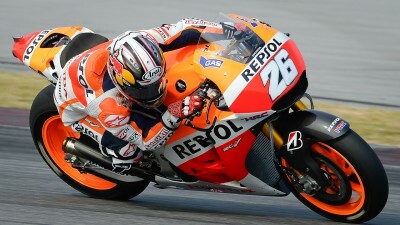 At the next test I want to prepare the bike as well as we can before heading to (the following test at) Phillip Island. What will you change when you come back here to Sepang? Right now there are not many things. We have a good feeling, so we have to keep working and see if we can finish the second test well, to then go to Phillip Island happy.